Welcome to another Invoice Ninja Story! This series profiles Invoice Ninja all around the world! Nick Pagano is a web and graphic designer from Houston, Texas. What Are Your Favorite Invoice Ninja Benefits? 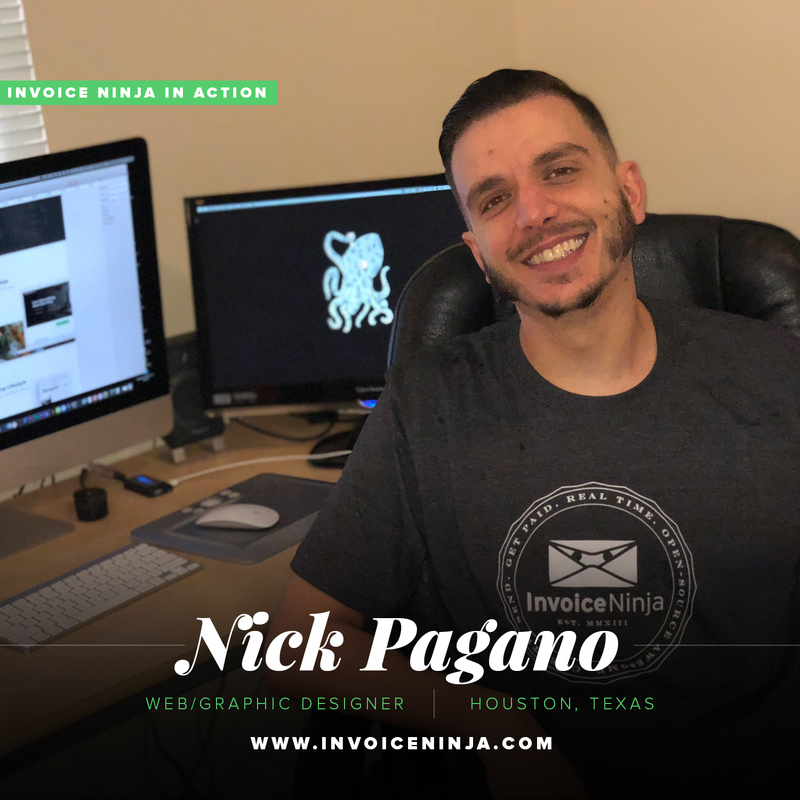 “The thing I like most about Invoice Ninja, is it lets me focus on design. I’m not a big fan of the financials aspect of the design business, so Invoice Ninja helps me easily and quickly take care of that stuff, so I can get back to actually designing. I love that people can pay directly online, so I get paid faster. People tend to take a little longer to send a check, then it has to get to you. I find customers tend to pay the invoice right when they open it, since it’s so easy and painless.